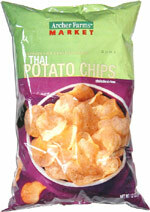 Taste test: These are kettle-style chip with a definite spice to them. 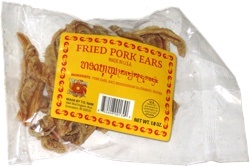 It's a Thai-type taste, but trying to describe it beyond that is difficult. It has a bit of an afterburn to the chips, so you might not eat a whole lot of them at once. But it's a unique taste. You really can taste the soy sauce flavor. Smell test: These smell a bit like dark licorice.